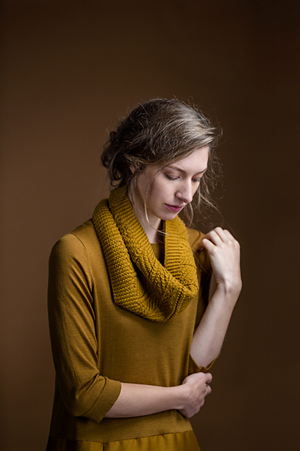 A textural delight, the High Pines cowl by Jared Flood brings to mind mountain evergreens. 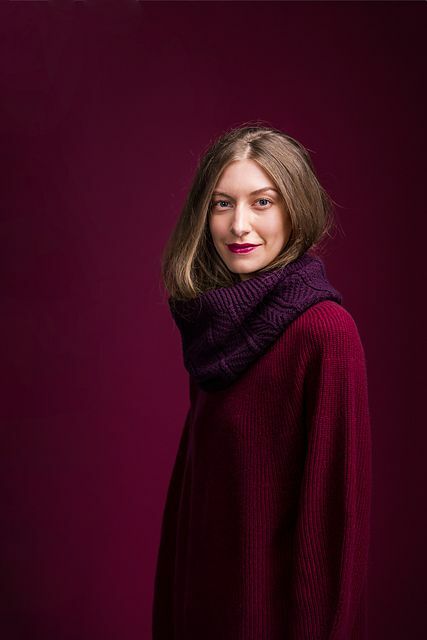 The shaped cowl is wider at the shoulders, then tapers slightly near the neck for a more tailored look. The cowl requires 3 skeins of Brooklyn Tweed Arbor or 390 yards of DK weight yarn, size US 4, 16” circular needle, US 6, 24” circular needle. Skill level is a 3 out of 5. 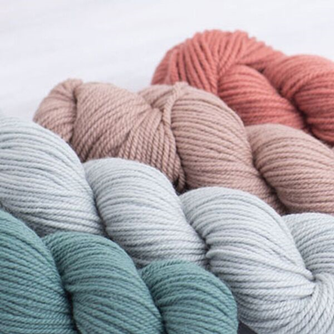 Choose from 34 gorgeous colors of Arbor, including four brand new colors: Lovat, Norway, Arabesque, & Mesa. 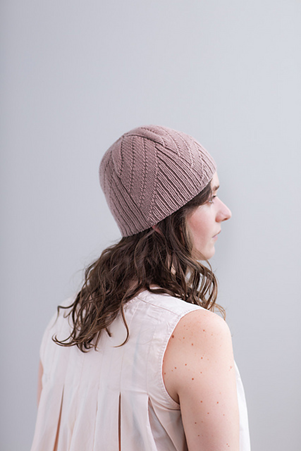 The cowl would also be stunning in The Fibre Company Acadia.